Now you see it, now you don't. 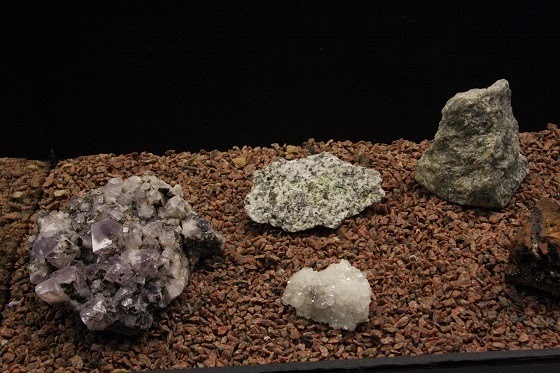 The photos on this page show exactly the same rocks - above glowing and below in normal light. 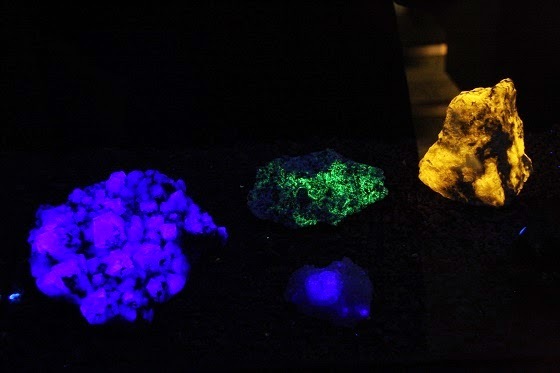 I took the photos in a special room about fluorescent rocks at the Fossil and Heritage Centre on Orkney. I might have been home from my holiday for a week now, but I took so many photos that I expect I'll still be sharing a few on my blog in the future.